Jack Ryan: Shadow Recruit movie is an upcoming action film that is based on the novels by Tom Clancy. This blockbuster will be released already next month, and to prepare us for the launch day, the creators have published thrilling and intense Jack Ryan: Shadow Recruit trailer. 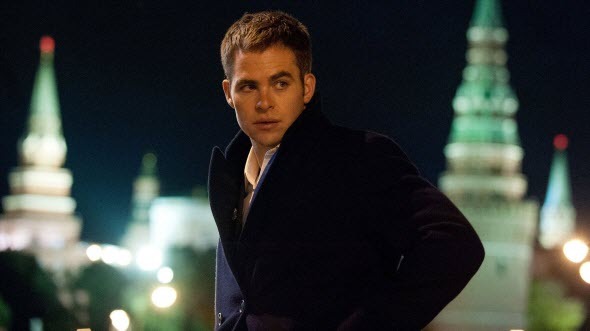 Jack Ryan: Shadow Recruit will be the fifth film in the series and its reboot. This time the main character's role will be played by Chris Pine, and also we will be able to see Kevin Costner and Keira Knightley here. The movie will tell us about the early years of the famous hero, during which he was fighting against terrorists. New Jack Ryan: Shadow Recruit trailer is a TV spot that prepares us for the upcoming movie's release. By the way, the launch day of Jack Ryan: Shadow Recruit is scheduled on the 17th of January. Have you already booked the tickets?